I've been all too aware that winter is on it's way. Having concentrated on Kracka's riding for a time, I've decided to bring his daughter Grace in for some light work before winter. 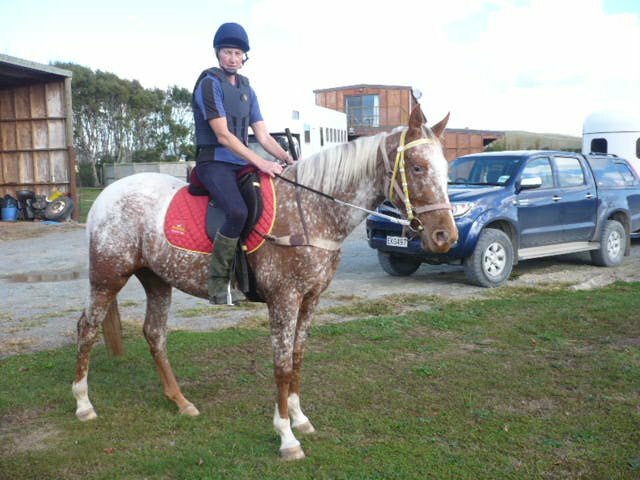 Grace showed some sensitivity for a short period but soon realised she'd done it all before and accepted a rider quite readily. We've just done some gentle walking around as she is not riding fit, and she's still quite young and has a lot of maturing to do, so it's just a case of jogging her memory for now. She will get turned out again over winter to mature some more.